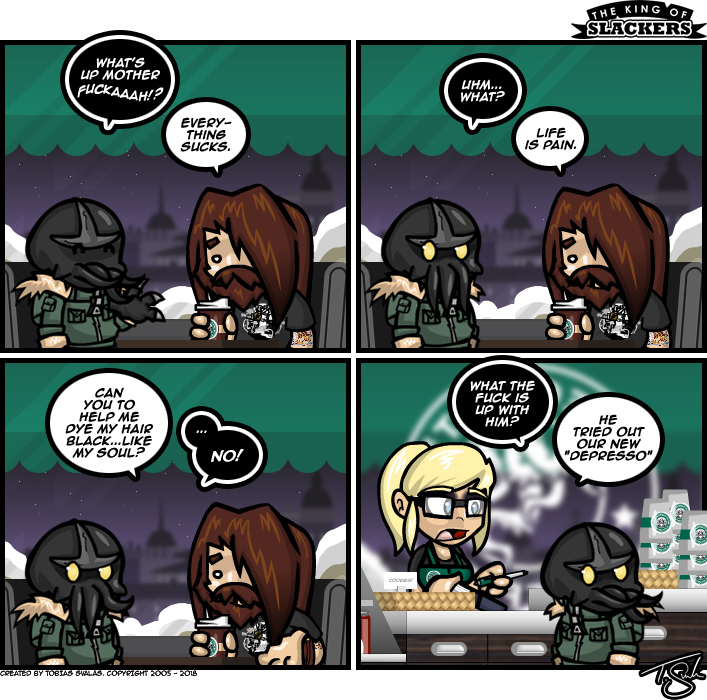 It made me chuckle and I thought that it sounds like something that Lovecraft’s Coffee shop would serve…. WAIT A MINUTE!!! And that’s when I came up with the idea for this comic. Can you get that in the form of an Emocha?